Willie Simmons making his debut as FAMU head coach on Sept. 1 against Fort Valley State. The Florida A&M Rattlers have arguably the best team in the MEAC with a 4-0 record in conference play. Perhaps even more noteworthy, they may also be the most compelling story in football, according to Jay Walker of The Undefeated. Walker does a weekly “Gimme 5” segment on ESPN’s The Undefeated where Walker gives his top 5 for various categories in black college football. This week, Walker listed his top 5 midseason storylines, and guess who was at the No. 1 spot? “I’m going to give credit to the No. 1 story I’ve seen this year,” said Walker this week in his weekly “Gimme 5” video on The Undefeated. 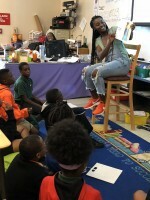 “’The ‘Willenium’ has started at Florida A&M University. 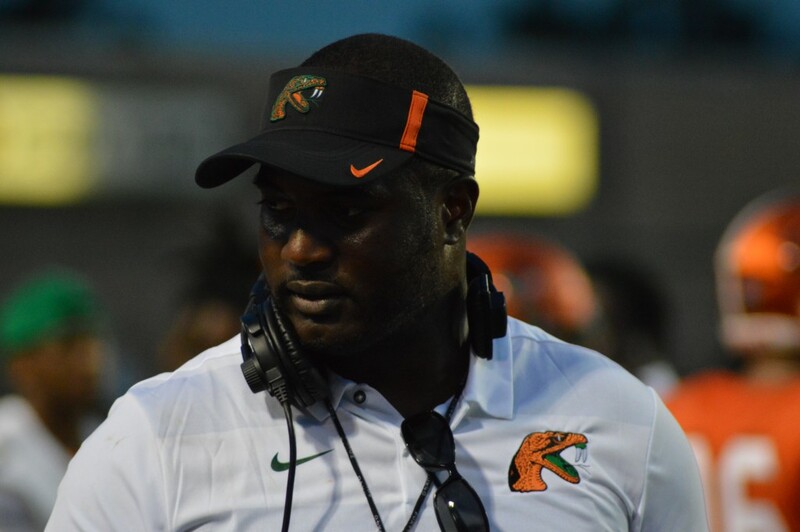 Head coach Willie Simmons has the Rattlers strike, strike, and striking again. That’s on point, according to junior wide receiver Kevin Troutman. "The difference between this season and last season is that players are beginning to buy in," Troutman said. "Maybe it's the way he brings us together as a unit when one of us messes up.” Sophomore running back Bishop Bonnet echoed the same sentiments. "Last season we had a lot of moments where we got down on our self," Bonnett said. “When things went bad we would take on the mentality of ‘here we go again’ instead of fighting through adversity. "To be honest, what we're going through right now, coach is putting us in adverse situations to see who will step up and see who will really lead and be that voice. It doesn't even have to be in practice, everybody has to get their study hall hours or we're doing up-downs at 6:30 in the morning. He’s making it about accountability." The Willenium storyline is far from over. There are still four games in the 2018 season, and the Celebration Bowl waiting for the Rattlers if they run the table in MEAC play. The very next chapter of the Willenium starts on Saturday against the Morgan State Bears at 4 p.m. in Bragg Stadium.